Sometimes hemlines get longer, sometimes they get shorter but now they've been deconstructed. 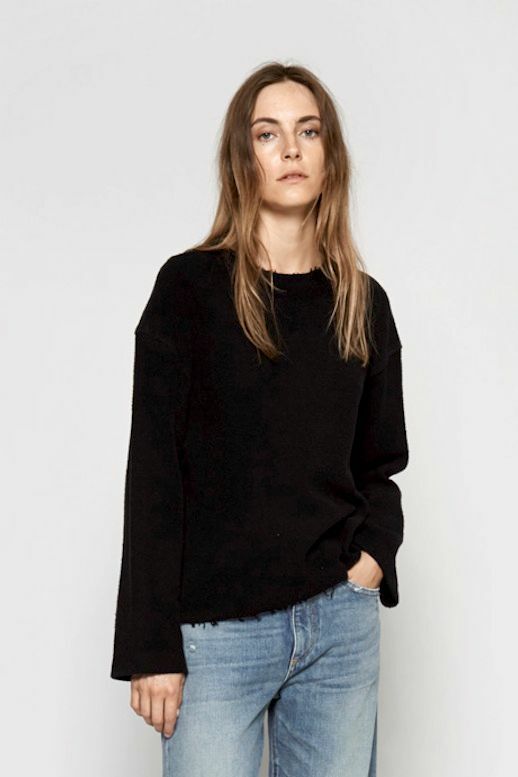 We were already obsessed with the frayed hem denim trend and now we're equally obsessed with this frayed hem sweatshirt! To re-create this casual cool look, simply style the sweatshirt with a pair of wide leg, floor-skimming jeans, and chunky mules.